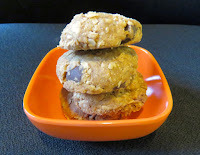 Welcome to Day #9 of Cookies with Chocolate Theme Week. 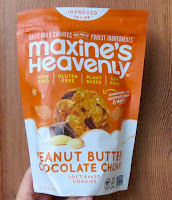 These Peanut Butter Chocolate Chunk cookies were distributed by Maxine's Heavenly (Los Angeles, CA). Palm fruit oil, chocolate, oats, flaxseed and dry roasted peanuts made these stick-to-the-ribs cookies more filling than most smaller cookies. 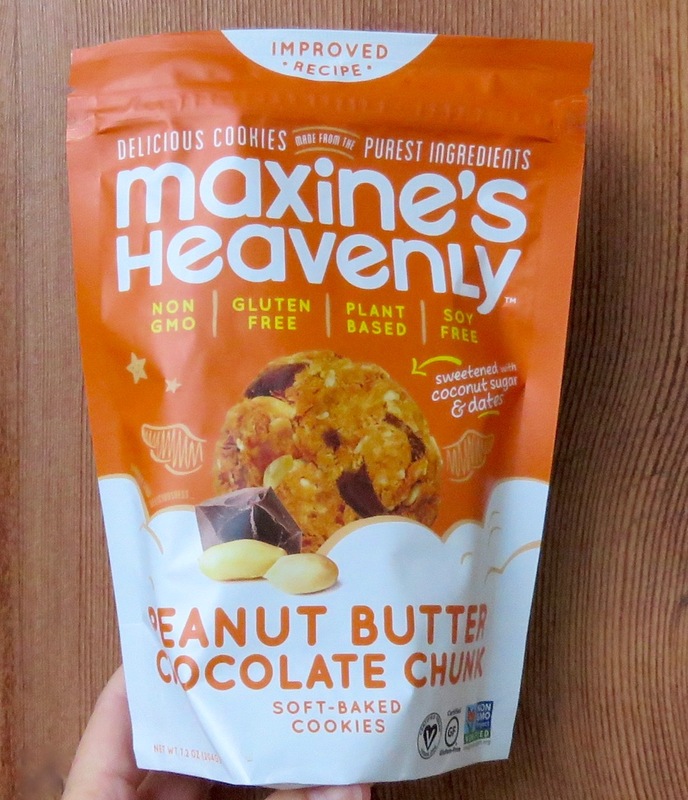 And, at 520 calories for 4 cookies (a single serving size is 1 cookie at 130 calories), eating more than a single serving or two is probably best saved for a hike, run or ride.